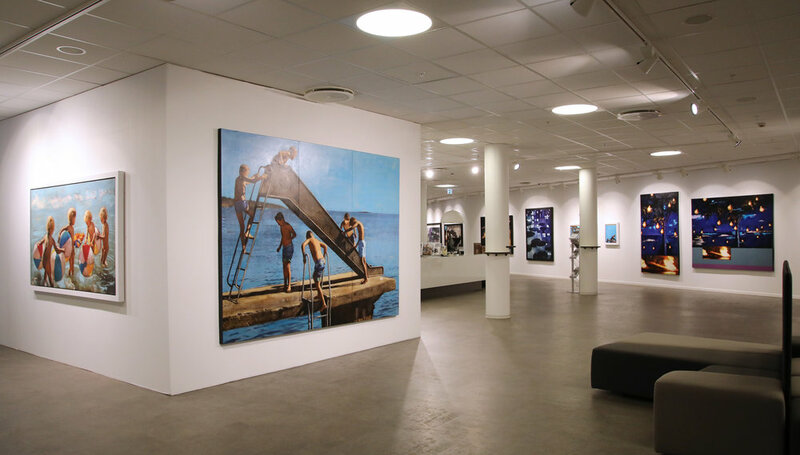 Installation view Bærum Kunstforening, Bærum. In Per Fronths first exhibition back in his hometown, Kristiansand, for over five years Stamina opened with lines of people outside the gates going around the corner. It became the most successful show for Fronth till date with Galleri Bi-Z. 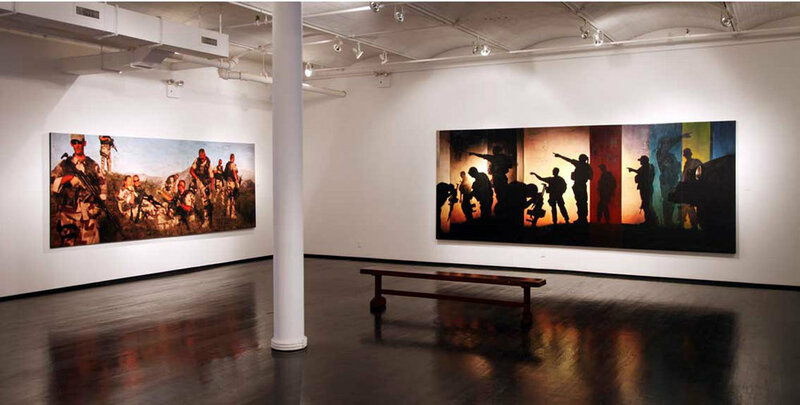 The artworks AFG ( Paraphrase The Storyteller) 2009 and Study for Two Sunsets ( Triptych) 2009 from the series Theatre of War on view in Chelsea, New York in 2010. The series focuses on the exporting Democracy to warn-torn Afghanistan where Norwegian troops participated along with US troops.